Hello! And apologies for the massive absence! I won’t go into the various reasons that I took an extended break from blogging but suffice it to say, they were fairly illegitimate and I’m embarrassed about it. Mostly, life just kind of happened. I moved from my lovely rented farm back into the city (mixed feelings; missing the country but happy to be living on my own in a cozy flat). I’m still dating the same great guy (we had our one-year anniversary last week). I took some courses (writing and Italian) and I took on some new freelance work (tutoring ESL academics in English). But enough about me. Let’s get back to the BPD (um, which is also more “me” but anyway…). I always kind of knew when I would end this blog. It wouldn’t be when I considered myself “cured” of BPD (which, for the most part, I pretty much do), because I think it’s kind of important to have blogs about BPD that are written from a perspective of “thank God it’s over” – if for no other reason than to show those in the throes of it that recovery is possible. So I do want to keep this blog going and focused on BPD, even though I’m looking at it from something of a distance at this point. Rather, I want this blog to end when the title no longer applies – in other words, when I no longer feel like “half of a soul.” How will I know when I’m fully and truly a “whole soul”? I’m not sure, but I am sure that I’m not there yet. I don’t say that with any particular despair anymore. It’s just where I’m at: I know I’m not as happy as I could be (is anybody ever? unclear), but it’s no longer enough to make me want to give up. With that in mind, I made two major choices recently: I elected to stop therapy in January, and I’m in the process of gradually reducing my medication. Regarding the first choice, it felt like a really big deal. Like, a surprisingly big deal. I honestly didn’t expect it to affect me that much. It had gotten to the point where I found myself without much to say during the sessions, and I saw them as more of an annoyance than anything (since I had to take the day off work just to accommodate the appointments). In addition, I was really aware of the fact (and I know this isn’t the healthiest/best way to look at it) that there are so many others who needed Karen’s services much more than I do now. This being the public healthcare system, I knew first-hand the wait lists for mental health services, and how it had felt to be desperate enough to seek help only to be told a therapist wouldn’t be free for 6 months. And that’s when a major dose of BPD hit me. Was it just me or was she a little too quick to agree that my problems were not as important as others’? Was she happy to finally be rid of me? Why didn’t she care enough to even try and convince me to keep going? As embarrassing as it is to recount these emotions as a 30-year-old woman (and not, you know, a three-year-old having a tantrum), the take-away point here is that things are getting slowly but surely better. Yes, there will obviously be setbacks, and no, 25 years of ingrained borderline behaviour isn’t going to disappear overnight, but I can finally see a point on the horizon where my path and BPD diverge forever. It blows my mind to say that. 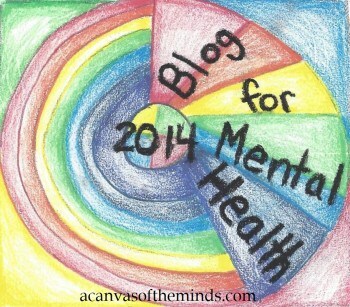 From now on, this blog will probably have more of a focus on recovery, wellness, overall emotional health, etc. than on specifically BPD experiences, but that being said, a big part of my absence from this blog has been a severe lack of topics – I just couldn’t think up things to write about without misery driving my every creative impulse. So if there’s anything you’d like me write about, specifically, please do comment/message as I’m starved for subjects of late!